Whether traveling for a luxury vacation or business, our Andorra jet charter brokers can arrange a private flight to/from anywhere in Andorra and neighboring areas in Europe. Travel to Europe using our Andorra private jet charter service. Andorra, the Principality of Andorra, is located in Southwestern Europe bordering Spain and France. 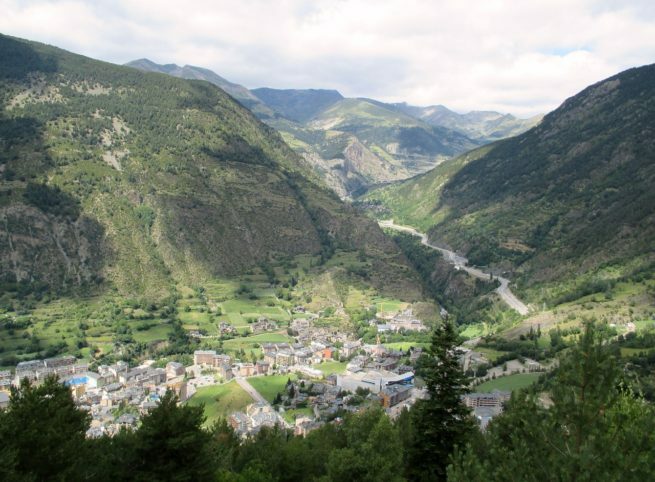 Travelers visit Andorra throughout all seasons. During warmer months (April to October), tourists can enjoy local events and festivals, while the colder months provide ideal skiing conditions. Many Jet Charter Europe passengers enjoy December to March for winter sport related activities in areas such as Soldeu and Pas de la Casa. Private flights to the city of Andorra la Vella (the Capital) are requested frequently year-round by Jet Charter Europe clientele. Request a Quote or give us a call at 1-888-987-5387 to speak with one of our Andorra private jet charter service brokers for your next luxury vacation, business trip, or special event.